Retirement nest eggs and financial professionals assets under management are highly vulnerable to a costly health care crisis. Asset-based LTC can help. No issue keeps clients and financial professionals awake at night more than the prospect of running out of money during retirement. But the reality is that retirement nest eggs — and financial professional’s assets under management — are highly vulnerable to a costly health care crisis or long-term care event unless steps are taken to plan for those very real possibilities. 2. They address a pressing need for retirement nest-egg protection. At least 70 percent of people over 65 will need some form of long-term care services and support during their lifetime, according to longtermcare.gov, a U.S. government website. And that need can put quite a dent in retirement savings. A 2015 report from HealthView Services estimates that a healthy 65-year-old couple retiring in 2015 will pay an average of about $395,000 in lifetime retirement health care costs. For a 55-year-old couple retiring in 10 years, that figure rises to about $464,000. The report also notes that the U.S. Department of the Actuary projects health care inflation remaining at a lofty 6% for the next decade. 3. They provide cost certainty, with premiums that are guaranteed never to increase. Asset-based products can either be purchased with a single premium, or maintained with an annual premium that is guaranteed never to increase. 4. They’re tax-efficient. Rather than parking money in a low-yielding CD or savings account, asset-based LTC products give financial professionals the means to leverage those dollars inside a tax-favored vehicle. Distributions from an asset-based LTC product that are used to cover qualified long-term care costs typically come out tax-free to the recipient. And if funds from the contract aren’t used for LTC, the death benefit from the contract passes tax-free to beneficiaries. In addition, using money that must come out of a retirement account in the form of a required minimum distribution to fund acquisition of an asset-based LTC product can be an effective planning strategy. 5. They allow financial professionals to protect their assets under management and preserve the integrity of their retirement. A catastrophic health crisis or extended LTC event can quickly drain client assets. Having asset-based LTC in place protects assets while also preserving the integrity of the financial professional’s retirement income planning. “You create this distribution plan for a client that won’t execute if there’s a hole in the client’s long-term care planning,” said Michelle Prather,Regional Marketing Director, Care Solutions. “Everything you have helped them build as far as accumulation and everything you planned for in terms of retirement income goes instead to paying for long-term care.” There is also the added benefit of knowing a client’s retirement is protected with asset-based LTC. As a result, the financial professional can appropriately position other parts of the portfolio more aggressively to generate growth and income. 6. They’re a solid asset on the client’s balance sheet. Unlike most stand-alone traditional LTCi products, asset-based products build cash value over time. 7. They overcome underwriting issues. With simpler, less onerous underwriting, clients who might not qualify for an affordable traditional LTCi policy because of age and/or health may be more apt to secure affordable LTC coverage with an asset-based product. 8. They can be customized to meet the specific needs of an individual or a couple. The Care Solutions products offer a unique joint benefit pool to two individuals. “To get two people covered with one contract is what people are looking for,” said Prather. 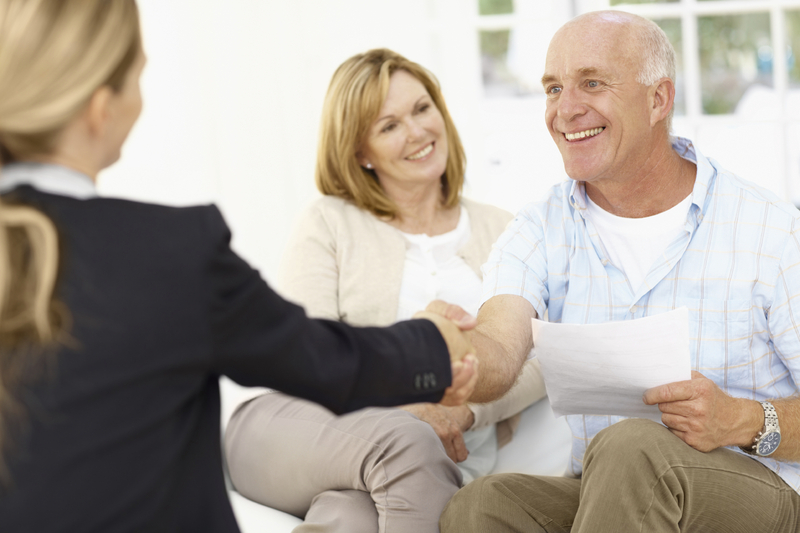 Clients can also elect optional features including lifetime benefits and inflation protection. 9. They’re increasingly appealing to Baby Boomer and Gen X clients. Protection products are increasingly sought after by people who saw their retirement assets dwindle during the recent financial crisis. Annual premium for “combination” LTC products increased from $455 million in 2007 to $2.6 billion in 2013 on the strength of five consecutive years of double-digit growth, according to the trade group LIMRA. Approximately 98,000 life combination policies were sold in 2013, up 18 percent from the prior year. 10. They’re not traditional long-term care insurance policies. Rising premiums and dwindling product options have made traditional LTCi less appealing to financial professionals and consumers alike. According to the American Association for LTCi, overall costs for new LTCi coverage in 2014 increased 8.6 percent compared to the prior year. Meanwhile, according to a 2014 Broker World survey, the number of carriers offering stand-alone LTCi decreased to 16 in 2014 from 45 in 2008. Chris Coudret, CLU, ChFC, is vice president & chief distribution officer for Care Solutions.